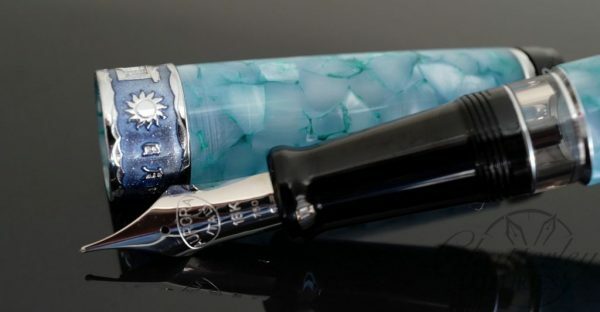 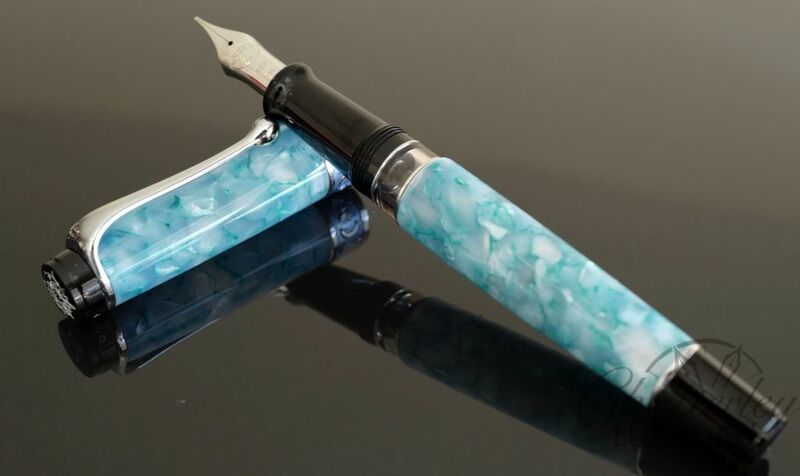 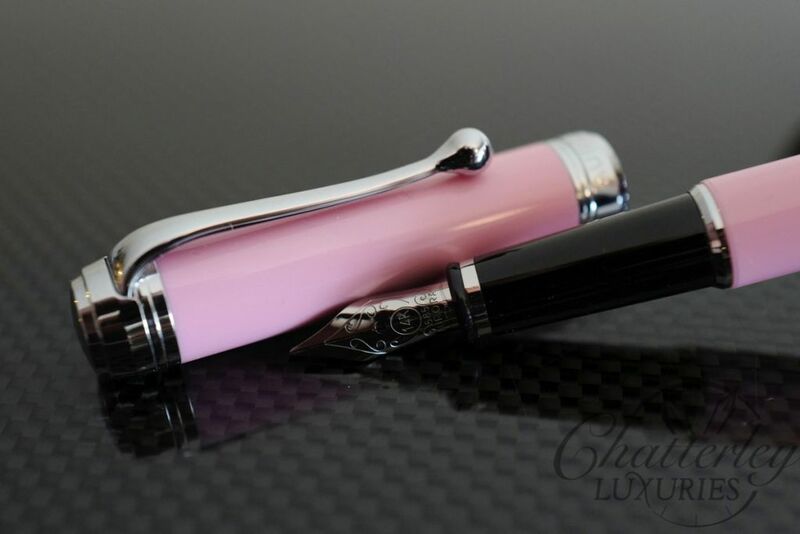 Up for sale is Limited Edition Fountain Pen. Only 349 made worldwide. 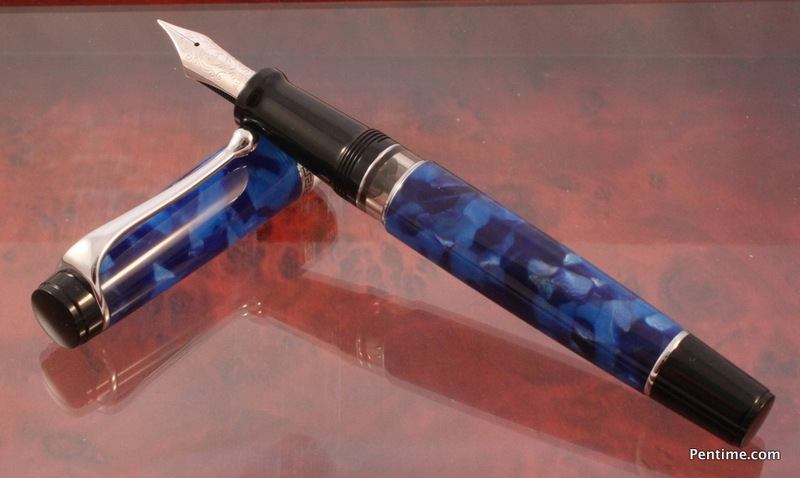 This pen has Chrome trim with Blue Enamel on the band. 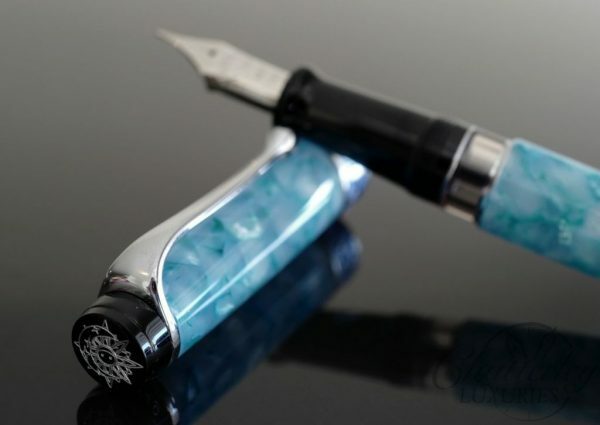 The Enamel work is very nice. 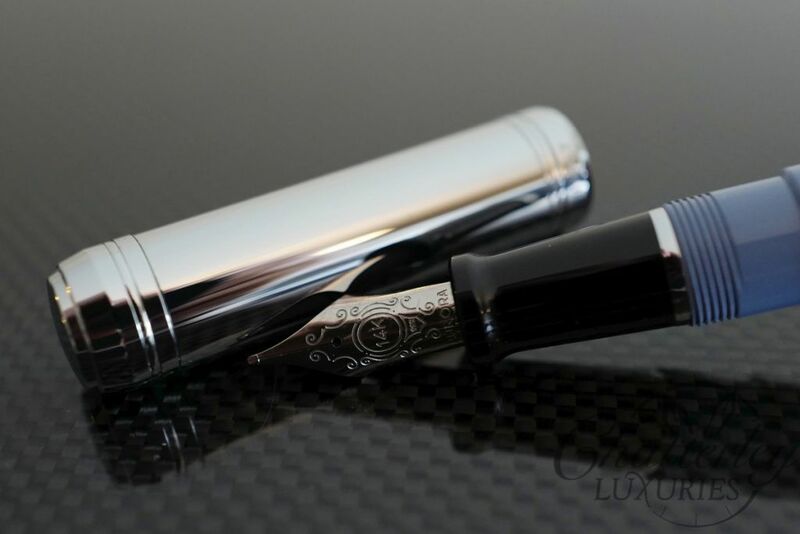 The ring is engraved “日月潭”. Silver Moon Shadow on the Blue Lake at Night.